Google's Awareness API in action. Make your application be User's Context-Aware. 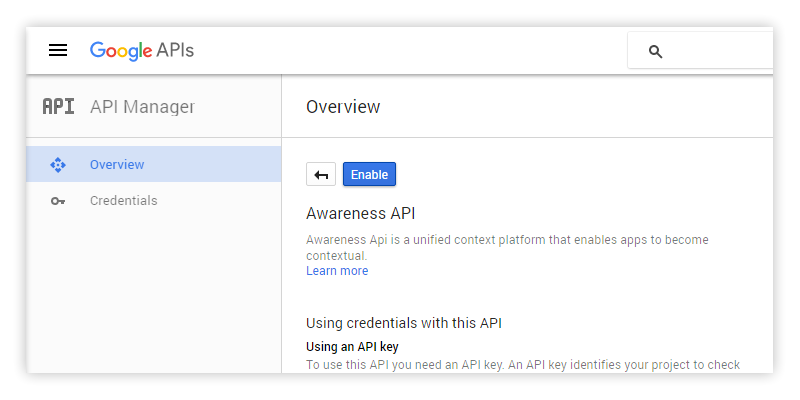 In the passed Google I/O 2016, the biggest annual developer conference organized by Google, very promising API named Awareness API was announced. Here is the 35 mins recorded session in the event. Good news ! API has just been publicly released few days ago. After playing around in many possible ways, I must say that Awareness API is very interesting and give you a chance to enable rich feature to your application with just few lines of code. This blog will give you information about this amazing API in details. Here we go ! - User activity: Walking, biking, running, etc. It is true that some task could be done with currently-available set of API, for example, you could pull weather information of current location by passing user's coordinate to Weather API, and since you can get user's coordinate periodically so you could calculate user's velocity to guess user activity as well. - You can do those amazing things with just few lines of code. - Data got from this API is more accurate since it is already processed in the proper way. - No more worries about battery consumption since Awareness API is already optimized. It will manage all of those for you. In conclusion, Awareness API allows you to get data based on user's context easier, more accurate with better performance. Headphones - Are headphones plugged in? Although these sets of information cover most of the use case in general already but I believe that more will come in the near future. Snapshot API - Allows you to "request an information based on user's context" as listed above. Fence API - Allows you to "receive a signal when user's context has changed and reaches the condition" through callback function, for example, if user moves closed to the specific coordinate with headphones plugged in, Fench API will call the registered BroadcastReceiver and let you do your job. Actually those two sets of API work with the exact same set of data. Google just seperates it into two to make it easier to communicate. Snapshot to get data, Fence to detect change. That's all. 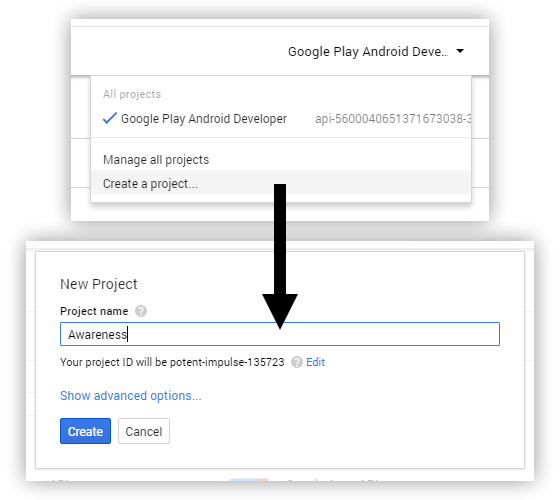 Awareness API is part of Google Play Services 9.2. To use it, you need to set up your project to enable GMS. First of all, a project in Google Developer Console is needed. 5) API key will be generated with format like this: AIzaSyBdVl-cTICSwYKrZ95LoVuw7dbMuDt1KG0. Copy it somewhere. We need it in the further step. 6) Launch Android SDK Manager and update Google Play Services and Google Repository to the latest version. 7) Launch Android Studio, create a new project and then open application module's build.gradle and add dependency for Awareness API like below. Don't forget to replace YOUR_KEY with API key acquired by the step above. Please note that the first meta-data is mandatory but the rest are optional. The second one (geo) is needed if you want to access Place while the last one (nearby) is needed if you want to work with Beacon. If you have no plan to access those APIs, please feel free to remove the related meta-data anytime. 8) Add 2 permissions in the same AndroidManifest.xml file inside <manifest> tag. The first one is used to access information related to GPS location (Beacon, Location, Place and Weather) while the latter is used to detect user's activity (Activity). Headphone and Time don't need any extra permission. 9) Open MainActivity.java file and let's initialize GoogleApiClient inside onCreate to enable Awareness API in your application. That's all. Your project is now set up and API is now ready to be called. After this I will give you a demo on how to access the data in Awareness API one by one. 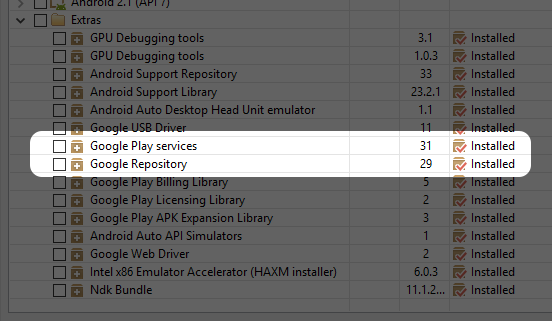 Please note that to testing device is needed to have Google Play Services 9.2 installed. Please update it to the latest or application may not be able to run on your device. Let's start with something easy like "requesting an information", so let's start with Snapshot API. Here is the code structure I use in this demo. All codes below will be put inside initSnapshots() so it will be called immediately when the Activity is created. First thing to know here is Snapshot API is accessible through Awareness.SnapshotApi. That's all. Let's go for the first one. Detect user's activity. Here is the code snippet. You will notice that we are able to detect user's current activity type ("STILL" in this case). You can get this information by calling probableActivity.getType() which will return as an integer listed below. You will also be able to check the confidence of activity type by calling probableActivity.getConfidence() which will return an integer with value between 0-100. Easy, huh? Another API in Snapshot API will also be called in the same way like this one. Check headphones plugged in state. Here is the code snippet. You will see that it is exactly the same way like we did to acquire user's activity. To get headphone's state, you could simply call headphoneState.getState() which will return two possible results: HeadphoneState.PLUGGED_IN or HeadphoneState.UNPLUGGED. To get latitude and longitude, just simply call location.getLatitude() and location.getLongitude() respectively. There are also some another value that you can get, for example, altitude. You could read the related document, Location class, for more information. 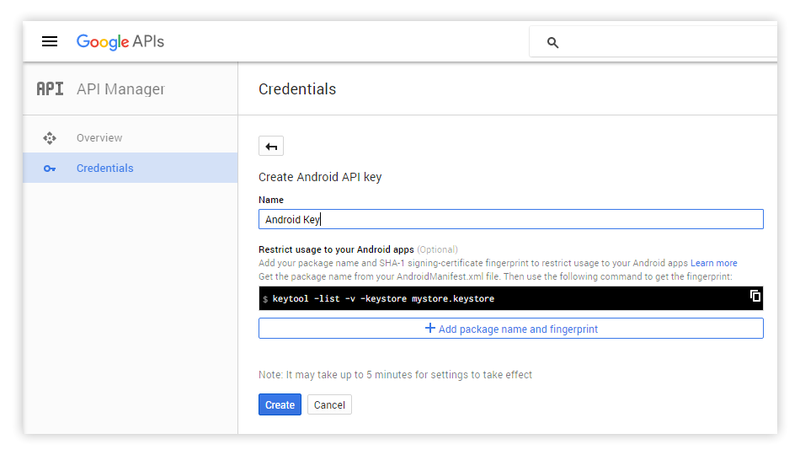 * To make code above works on Android M and higher, you need to implement Runtime Permission to let user grants access to ACCESS_FINE_LOCATION permission or SecurityException will be raised. This part of code will look like this. This function will return you places around user's location. To make this works, you need to enable Google Places for Android in Google Developer Console first. Code snippet below will list you 5 top possible places. // Show the top 5 possible location results. Place details could be acquired from p.getPlace() which contains many useful information like getAddress(), getPhoneNumber() or getPlaceTypes(). You could find more about these functions at related document, Place. * Runtime Permission is also needed to implement to make Places works on Android M and higher. Code snippet below allows you to get the weather conditions. getTemperature() - Current temperature at the device's current location. getFeelsLikeTemperature() - What temperature a person would feel is at the device's current location. You can find more about these functions at related document, Weather. * Runtime Permission is also needed to implement to make Weather works on Android M and higher. Detect the state of nearby beacon devices. To make Beacon works, you need to enable Nearby Messages API in Google Developer Console first. Please make sure that your beacon has already been registerd to your Google API project and attachment is already added to that beacon. In case you don't know how to do so, Beacon Tools app developed by Google is being quite a useful tools. After things have already set up. Declare all the possible attachment's namespaces and types in the code below. If your beacon's attachment namespaceType is my-sample-project/mydata , my.beacon.namespace would be my-sample-project while my-attachment-type would be mydata. // Get info from the BeaconState. The state result of each beacon device could be retrieved through beaconState.getBeaconInfo(). You could find more information about the result at related document, BeaconState.BeaconInfo. * Runtime Permission is also needed to implement to make Beacon works on Android M and higher. There is no Time function available in Snapshot API since you could simply get the local time with Android's standard API. That's all about Snapshot API. You can see that although it is straightforward and pretty easy to use but it is still very useful. Please give it a try. "Fence" here comes from the well-known word "Geo-fencing" which means the virtual barrier of real-world geographic area. But for Fence, you could do a lot more besides location detection. You could set the condition related to working context in Awareness API and get the callback when condition is reached. Let's see what it could do by real code. First of all, let's set the code structure. Basically Fence will collect a PendingIntent and whenever the condition is reached, Intent contained inside would be fired. So in this example, I will create a BroadcastReceiver to handle that Intent. Here is the code. Code that does the Fence registration will be placed inside registerFences() while the unregistration one will be placed inside unregisterFences(). The easiest example to demo Fence API would be to detect the change of Headphones plugged-in state. To do so, declare the condition as an AwarenessFence variable which in this case, HeadphoneFence will be used to create the Fence condition. Put code below inside registerFences(). And then call Awareness.FenceApi.updateFences(...) to register the Fence. The important line is the .addFence() one which asks for the Fence and associated PendingIntent which are headphoneFence and mFencePendingIntent respectively in this example. Whenever condition defined in headphoneFence is reached, an Intent inside mFencePendingIntent would be fired and the registered BroadcastReceiver like fenceReceiver would receive the Intent. To prevent the memory leak, unregistration is also needed. Put code below inside unregisterFences() to do the job. Now let's handle the Intent in HeadphoneFenceBroadcastReceiver. Modify onReceive function as code below. It is pretty straightforward. Once Intent is received, you could extract the FenceState with FenceState.extract(intent) function. And since a single BroadcastReceiver may be set to receive more than one type of Fence, FenceKey is needed to be checked to do anything next. Please note that FenceKey here is the key that we give it in addFence function above. Don't forget to use constant instead of hardcoding in your production code. The final step is to check the FenceState if the condition is TRUE of FALSE from fenceState.getFenceState() function and then do whatever you want. It's all done ! I/Awareness: Fence > Headphones are plugged in. And logs below should be shown when you unplug your headphones. I/Awareness: Fence > Headphones are NOT plugged in. As I said before. It is easy but outcome is very awesome ! DetectedActivityFence - Detect condition based on user's activity. HeadphoneFence - Detect condition based on headphones plugging in state. TimeFence - Detect condition based on local time at user's location. LocationFence - Detect condition based on user's location. BeaconFence - Detect condition based on nearby Beacons' state. Each Fence has its own way to define the condition. I could not put them all here since there are too many. You could find more information by clicking at the class name. Anyway it supposes not to be a problem since if you understand the concept of HeadphoneFence code above, you would be able to apply and learn how to use another Fence by your own. Please note that Weather and Places are not available in the Fence API. - If user is running and has headphone plugged in. - If user move closed to the specific location in the afternoon. And then pass andFence to addFence(...) command and everything would works like desired. Besides and, or and not are also be able to be done with AwarenessFence.or and AwarenessFence.not respectively. Please feel free to apply the logic as you want. There are some application that utilize the benifit of Awareness API. Here are two examples. Superplayer Music - It could suggests you a song based on weather at user's location. Imagine, sad song in the rainy season ... That's cruel ! Trulia - Real estate application that could notify user when user is walking near the listed house and the weather is nice. As you can see from the use cases above. With Awareness API, you could implement quite a lot of amazing rich features like you have never thought it is possible before. Only barrier now is your imagination ! Working with user's context is really awesome and can cause your application get the higher retention and positive feedback. That's all about Awareness API in details. I found that it is very useful and I must say that I am very impressed with its capability. Anyway please note that Awareness API is a part of Google Play Services so it will work on device with GMS installed only. Always be reminded that your application might not be able to run on those Chinese devices out there. file:// scheme is now not allowed to be attached with Intent on targetSdkVersion 24 (Android Nougat). And here is the solution.